Im a regular member of a Clio enthusiasts site called Cliosport.net and there is always threads online about how people have forgot or cant find there radio unlock code. Renault and a lot more car manufacturers now add this little bit of security to a standard radio unit to detour car thieves. The code has to be entered every time the radio is disconnected from the power source. 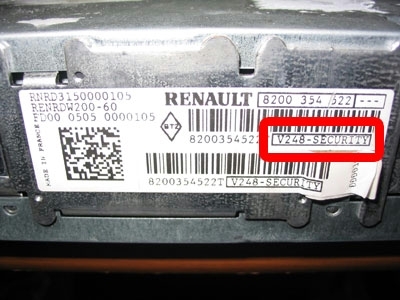 If you go to renault for your unlock code, they will charge you around £20. So then it was down to me to make a simple PHP website that would offer an easy to use system with paypal integration to offer users there radio code instantly! The site was built and online within about 2 hours. You can see the site here: http://projects.bonxy.net/radio/. The site does not need any maintenance at all and will hopefully tick over in the background for the near future. I am looking for new ways to integrate more car manufacturers to the unlock code site to bring in more users!